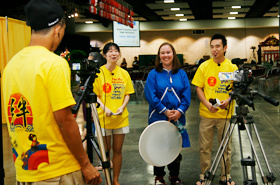 The Educational School Tour was held for the local schools in Hawaii on Friday, March 2, 2012, at the Hawaii Convention Center. More than 800 students from 17 schools visited this year. 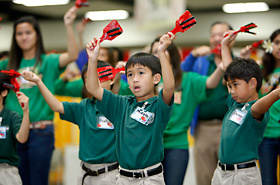 The 18th Annual Honolulu Festival hosted the Friendship Gala on Saturday, March 3, 2012, at the Hawaii Convention Center. 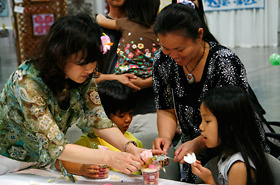 This is a place where the popular local restaurants of Hawaii gather and offer various gourmets, which the guests can enjoy and interact with the participating groups of our Honolulu Festival. 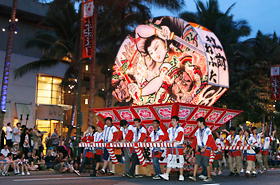 The Grand Parade was held on Sunday, March 4, 2012, on the streets of Kalakaua Avenue in Waikiki. 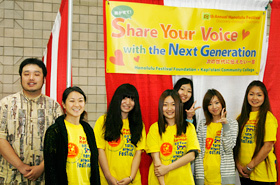 The “Share Your Voice Project” is an educational collaborative project between the Honolulu Festival Foundation and Kapiolani Community College. 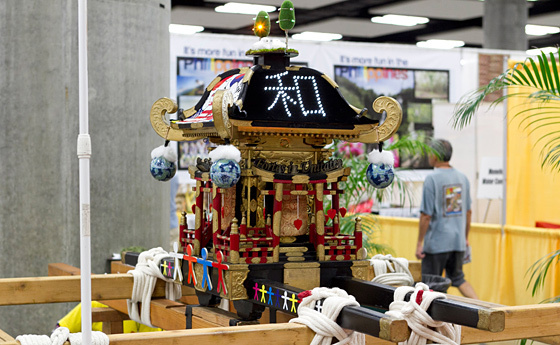 The winners of the 18th Annual Honolulu Festival’s Maui Mikoshi Design Contest were the students of St. Anthony School. 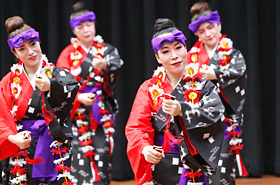 The 18th Annual Honolulu Festival Offers Tons of Exciting Events! 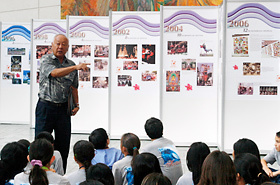 The event hosted by the Honolulu Festival was the Educational School Tour, which was held exclusively for the students of the local schools. 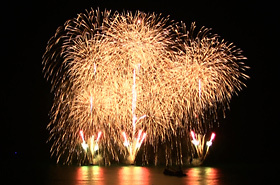 It opened to the public on the following 2-days. 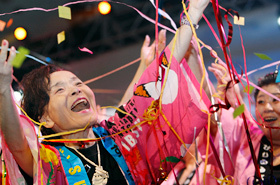 Yuichiro Kunitomo, who is a son of Suga Kunitomo became a new representative of Sugaren. 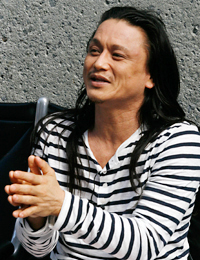 We had an opportunity to interview him about his mother and his recent feelings.